Home alone. Are you really? Is there something lurking in the dark, hiding just out of sight, waiting for you to fall asleep? Sarah is home alone. It is just her and the stuffed Penguin Damen snuck into the house as an apology. So what woke her up in the middle of the night? Who spoke to her from the other room? What happened to Al? Little Girl is the beginnings of a good old-fashioned ghost story. 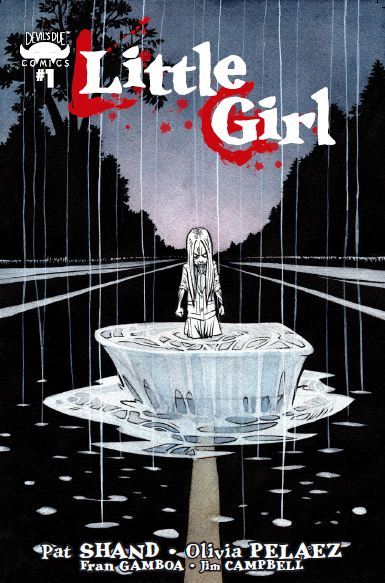 The stage is set and questions are raised, so when the issue ends the reader is hooked and curious as to who this murderous little ghost is and why does she not rest easy?